CIRIA 735 Are You Compliant? CIRIA is the Construction Industry Research and Information Association they are a neutral, independent and not-for-profit organisation, which connects companies with common interests and promotes a range of synergistic projects that help improve the construction industry. C748 – Guidance on the use of plastic membranes as VOC vapour barriers. The CIRIA C735 guidance document gained a ‘Highly Commended’ accolade at the Brownfield Briefing awards 2014, in the Best Scientific (or Verification) Advancement category. It was against a tough field of over 70 projects, the document was one of only 4 to acquire the accolade. The very first guidance document on the installation of gas protection systems for buildings was issued in the early 1990s. Since then the frequency of installing and variety of systems has expanded notably. Even so, there is proof that the installing of many of these methods has been unable to fulfil a satisfactory standard. Both the guidelines deliver best practice guidance for the designer, installer, verifier and regulator on the verification and integrity tests of gas protection systems, and solutions for vapour barriers. For verification, the guidance lays out an adaptable, risk based and practicable framework that could be adjusted to provide site-specific guidance on the need for and range of verification tasks (including any integrity testing). Suggestions are presented for the improvement of the best practice described within this publication and for recognition of the important function that local authority (LA) regulators play in its increased acceptance and application across the sector. A verification plan should be written at the design stage. Ventilation is regarded as a very effective initial line of defence, but it must be verified. 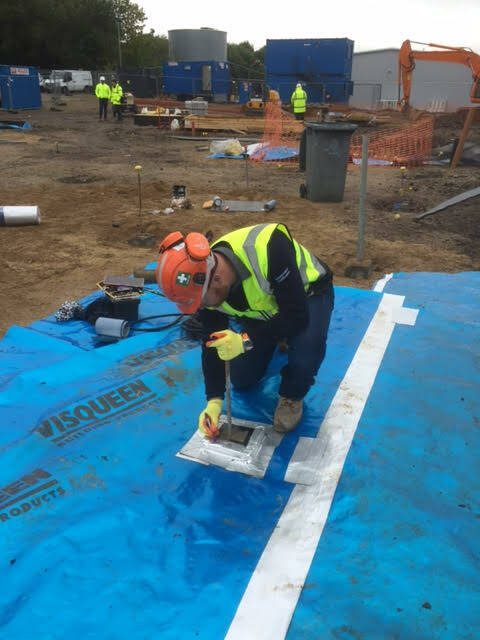 Membranes (and ancillary materials) will need to be selected which are going to get through the construction process & deliver suitable long term protection. Follow-on trades will need to be informed of the function of gas membranes to reduce the risk of damage. Verification is as important as design and installation. A risk based strategy to verification is required and an independent 3rd party should be utilised for verification to eliminate conflicts of interest. Integrity testing needs to be made use of along with visual inspection to prove a gas tight seal exists all over the membrane. As each project is unique in terms of size, construction type, ground gas protection system and applicator experience it is recommended that a Validation and Verification program is in place prior to the employment of any specialist application company in order that all risks are correctly assessed.